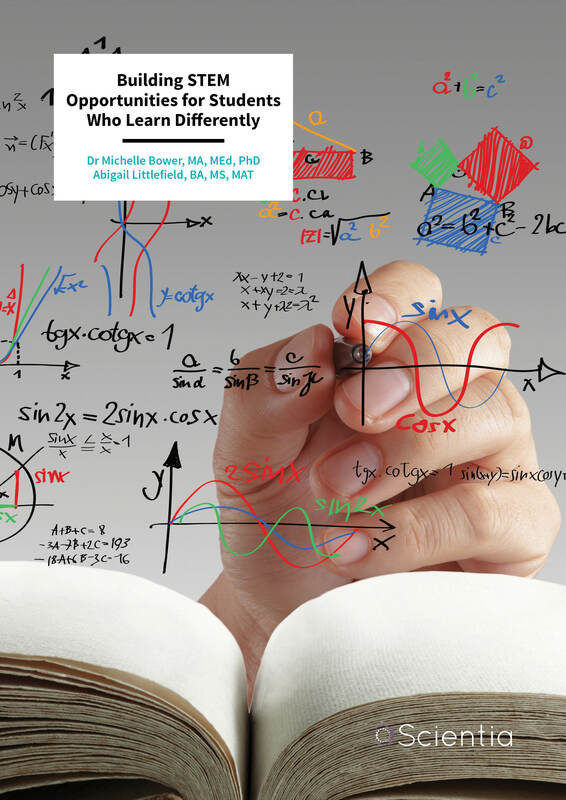 As one of only two post-secondary institutions in the United States exclusively serving students with learning disabilities, attention deficit disorders and those on the autism spectrum, Landmark College has a reputation for excellence in education. Professors Michelle Bower and Abigail Littlefield of Landmark College are creating educational, mentorship and employment opportunities for students who learn differently and who are enrolled to study science, technology, and mathematics. 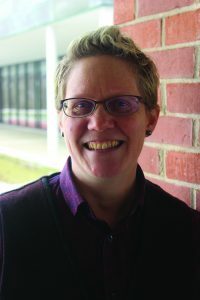 When Dr Michelle Bower, then chair of the Mathematics and Computer Science Department at Landmark College, noticed that many academically gifted science, technology, engineering and mathematics (STEM) students struggle financially and with employment after graduation, she decided to do something about it. Drawing on the success of a previously awarded Johnson Scholarship Foundation grant titled Access to Innovative Education – which provided support to any academically talented student who was in financial need at the college – Professor Bower and her colleague, Professor Abigail Littlefield of the Department of Natural Science at Landmark College, wrote a grant requesting further funding to support the college’s full-time, academically gifted STEM students. The name of the proposed program was ‘Access to Innovative Education – STEM Opportunities for Students with Learning Disabilities (AIE-STEM).’ The grant had three goals: to provide financial support to low-income, academically talented students in the Computer Science and Life Sciences programs; to offer them mentorship opportunities within the college; and to provide access to internships and employment opportunities after graduation. ‘We designed the program for college learners who have dyslexia, Attention Deficit Disorders, Autistic Spectrum Disorder, and/or other profiles,’ said Professor Bower of the project. In August of 2016 the team was successful, and the NSF awarded the $650,000 grant to the College. 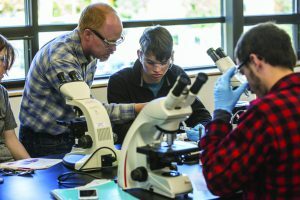 In September of that year, selected STEM students began receiving financial aid. In the first year of the AIE-STEM project in September of 2016, seven students were awarded scholarships. Over the five-year grant period, five to thirteen scholarships will be awarded per year, for a total of 45 awards, with most of those at the maximum $10,000 level. Professor Bower oversees all components of the grant and supports other faculty in their teaching, research and mentoring activities, including ongoing professional development of faculty within the Computer Science Department. Professor Littlefield co-directs the grant with Dr Bower and supports faculty in the Life Sciences department. Both professors support the recruitment, selection and retention of the AIE-STEM scholars. Located in Putney, Vermont, Landmark College opened in 1985, trailblazing a path for students who learn differently so they can pursue a quality post-secondary education tailored to their unique needs. As a non-profit educational institution, the college was the first to pioneer college-level studies for students with dyslexia. 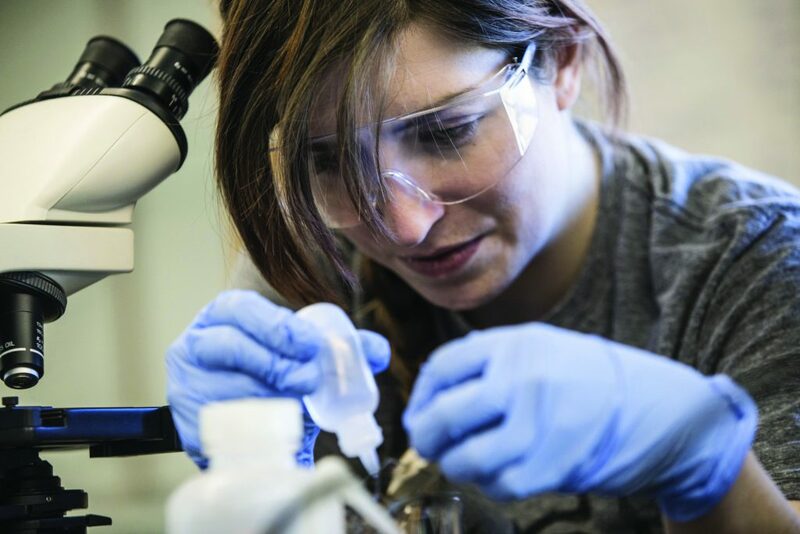 Today, the College offers a number of associate and baccalaureate degree programs in areas including liberal studies, business, studio art, computer science, life sciences, and psychology. All students enrolled at Landmark College have a diagnosed learning disability, attention deficit disorder, and/or autism spectrum disorder. 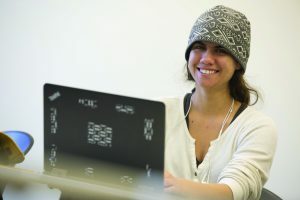 Landmark College has offered two-year associate degree programs in life sciences and computer science (AS) since 2012 and recently launched a four-year baccalaureate program in computer science (BS). The science program has expanded over the last few years and most recently, a new building was constructed to house both the life sciences and computer science faculty. The building, named the Nicole Goodner MacFarlane Science, Technology & Innovation Center, opened its doors in August 2015 and also houses the Landmark College Institute for Research and Training (LCIRT). To be eligible for the AIE-STEM award, students must be enrolled full-time in an AS or BS degree and have good academic standing (GPA of 2.5 or higher). Recipients must be a US citizen, national, refugee, or permanent resident, and also demonstrated financial needs as outlined by the US federal government. As an access grant, program leaders seek to support a diversified cohort of students pursuing the STEM fields, and thus actively seek to bestow awards to first-generation and female students, and students of colour. Recipients must adhere to all program requirements including regular meetings with a faculty mentor and participation in at least one internship. Bachelor of Science students must also participate in research. Life Sciences students who qualify for the grant program engage in field work, data collection and experiment design. Students in Landmark College’s Computer Science program are involved in data mining, computer modelling, robotics, and design of hardware and software. All students are expected to contribute to weekly laboratory meetings, participate in training opportunities, and present their research findings. 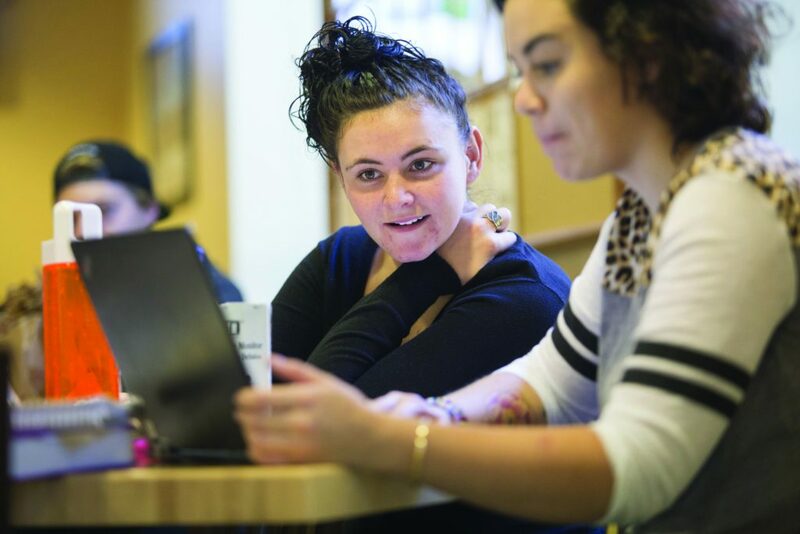 Current research suggests a much smaller proportion of students with disabilities complete a four-year undergraduate degree within six years, compared to that within the general population. 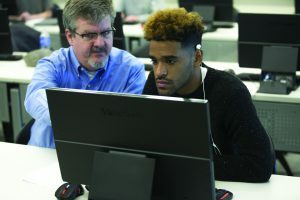 One primary goal of the AIE-STEM grant program is to increase the graduation rates of students enrolled in STEM programs at Landmark by supporting low-income, academically talented students with learning disabilities in both the Computer Science and Life Sciences programs, from enrolment to graduation. It is hoped that graduation rates for AIE-STEM scholars will increase to between 39–58%, exceeding the institution’s graduation rate of 39%. Landmark only began offering four-year degrees in 2012, and prior to that was a transitional two-year college – as a result, its graduation rate appears lower than many other US institutions. In their first-year report, Professor Bower notes that the retention rate for the year of students who had received support was 80%, exceeding the original goals of the program. Another goal of the AIE-STEM program is to create a culture of mentorship within the Computer Science and Life Sciences departments. The best procedures for mentoring students with learning disabilities are not yet well understood and therefore the role of faculty mentoring of students with a learning disability is a prime area of research for the AIE-STEM project. The mentorship program includes advice sessions with students on a regular basis, an approach that emphasises students’ strengths, with an emphasis on growth, non-directive questioning, facilitated inquiry, and on preparing for the future. All AIE-STEM scholars are assigned a faculty mentor within their discipline. In addition to online and on-site training for its faculty and staff, as part of the grant program the College offers professional development for AIE-STEM for faculty mentors. Faculty mentors are deeply invested in helping their mentees engage in the professional experiences that support enhanced learning in their fields. Faculty mentors meet regularly with their students, and also attend trainings and workshops focused on best practices for student mentoring. Research has suggested that a small proportion of the US workforce is comprised of individuals with disabilities and only a fraction of those are employed in science and engineering professions. Rates of employment for individuals with disabilities working in science and engineering professions continues to be low and the AIE-STEM program is attempting to directly address this by building partnerships with private industry and other outside organisations, working to increase the number of internships available to these students. All recipients of awards complete at least one internship during their course of study. 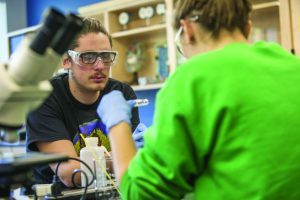 To help scholars reach these goals, the college set up special partnerships with several outside institutions including the Vermont Genetics Network, the Vermont Established Program to Stimulate Competitive Research (EPSCoR), and the Rich Earth Institute and software company Lexalytics Inc. In addition, Landmark College also formalised a partnership with the toy company Hasbro, Inc. and with Bosco Genetics for summer internship opportunities. Other internship positions included jobs in internet technology, biotechnology lab assistant positions and computing. In 2017 two new partnerships were forged with Inventive Labs, a company that helps students who learn differently start a business or discover a career, and Broad Futures, an organisation that provides mentorship and work experience for students with a learning disability. In total, seven unique students were supported by the AIE-STEM grant program during the 2016-2017 academic year. During the next five years, a total of 45 full scholarships will be awarded and these will include mentoring and employment opportunities through the grant. During the 2016-2017 academic year 75% of students who received awards reported a positive research experience in interviews, as well as an overall appreciation of their monthly meetings with faculty members. In addition, faculty who were interviewed thought that mentorship helped undergraduate students and improved their research and scholarship experiences. There was also strong agreement among faculty that mentoring strengthened the department as a whole. Professor Michelle Bower joined Landmark College in 2008 after a career as a high school mathematics and physics instructor and as a junior (intern) mathematician for the US Navy. She completed her PhD in Mathematics Education at Illinois State University, and an MA in Mathematics at Ball State University. 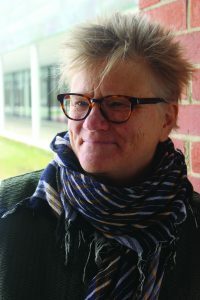 Dr Bower has been the chairperson of the mathematics and computer science department at Landmark College for eight years. Her research interests include the field of mathematics anxiety and language genres in mathematics education and technology. Professor Abigail Littlefield obtained her BA in Human Ecology at the College of the Atlantic, Maine, her MS in Environmental Studies at Antioch New England Graduate School and her Master of Arts in Teaching (MAT) at The Graduate Center at Marlboro College, Vermont. She has taught science to students with language-based learning disabilities, attention deficit hyperactivity disorder and those on the autism spectrum for over 25 years. She has presented nationally on teaching science to students who learn differently and the use of technology in teaching. Her current research focus is looking at the effects of animal assisted therapy and learning outcomes for students who learn differently.